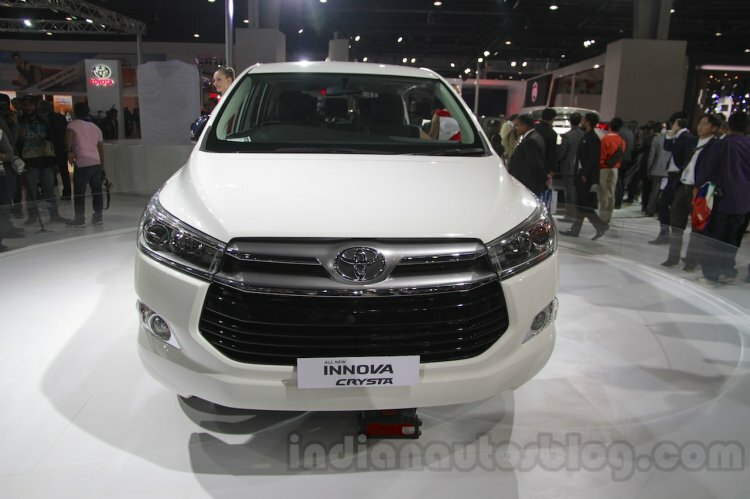 Toyota Kirloskar Motor has introduced a new base-level trim of the Innova Crysta. Dubbed 'G Plus', the new variant of the company's best-selling model, which has a monthly sales average of 6,352 units*, is priced at INR 15,57,000** (7 seater)/INR 15,62,000** (8 seater). The introduction of the entry-level G Plus trim could have been an attempt to prevent the Mahindra Marazzo from hurting the popularity of the Toyota Innova Crysta. The introduction of the new entry-level trim is the second recent revision for the Toyota Innova Crysta, following the update to the features list in September last year. The new no-frills grade should be available with halogen headlamps, manual aircon and fabric upholstery. The safety suite will comprise dual front airbags, ABS with EBD, rear parking sensors and seat belt reminder (SBR). Toyota Kirloskar Motor is yet to update its website with all the details. The Toyota Innova Crysta in the new level configuration (2.4 G Plus MT, 7 seater) is INR 38,000 cheaper than in the previous entry-level configuration (2.4 GX MT, 7 seater). The 8 seater commands a premium of INR 5,000 in the G Plus grade, which could have been introduced to prevent the Mahindra Marazzo (INR 9.99-14.38 lakh**) from adversely affecting the popularity of the Toyota Innova Crysta. In December 2018, the Toyota Innova Crysta helped TKM earn revenue of INR 2,200 crore with a sales of 11,200 units. The country's favourite MPV saw an annual sales of 78,130 units in 2018. Previously, the Toyota Innova Crysta was available in four trim levels - GX, VX, ZX, and Touring Sport. In all, there are three engine variants on offer - a 2.4-litre 2GD-FTV four-cylinder diesel that produces 150 PS/343 Nm, 2.8-litre 1GD-FTV diesel that offers 174 PS/360 Nm, and a 2.7-litre 2TR-FE four-cylinder petrol that offers 166 PS/245 Nm. The G Plus grade is available exclusively with the 2.4-litre, four-cylinder diesel engine mated to a 5-speed manual transmission.